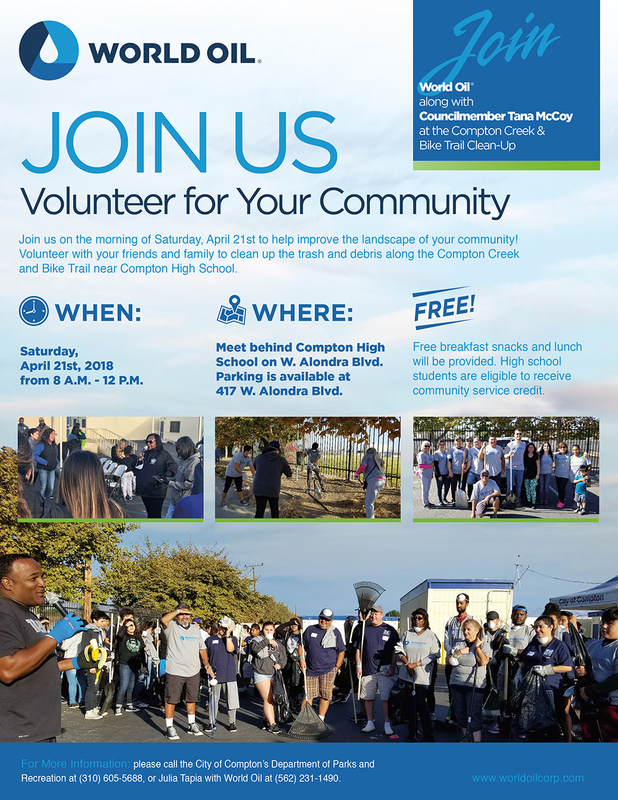 Volunteer for Your Community - World Oil Corp.
Join us on April 21st from 8 AM – 12 PM for the Compton Creek & Bike Trail Clean-Up! High school students are eligible to receive community service credit. Volunteers will meet behind Compton High School on W. Alondra Blvd. Parking is available at 417 W. Alondra Blvd.